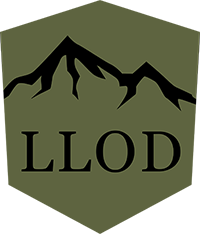 Due to variances in display/screen colors, calibrations, and technologies - the colors below may look different than they do in real life. 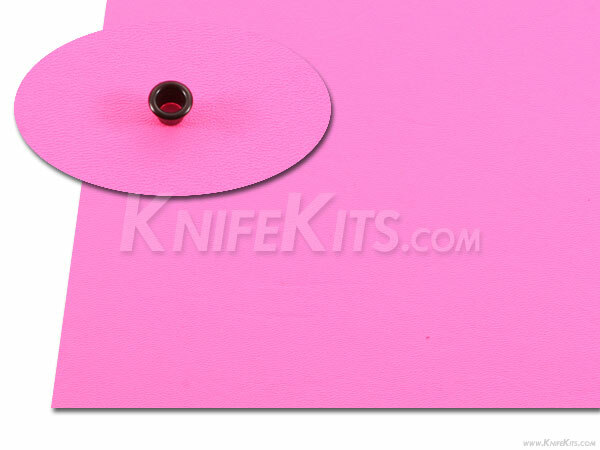 Use this list as a general guide though, to at least give you an idea of what you can expect from the color options. 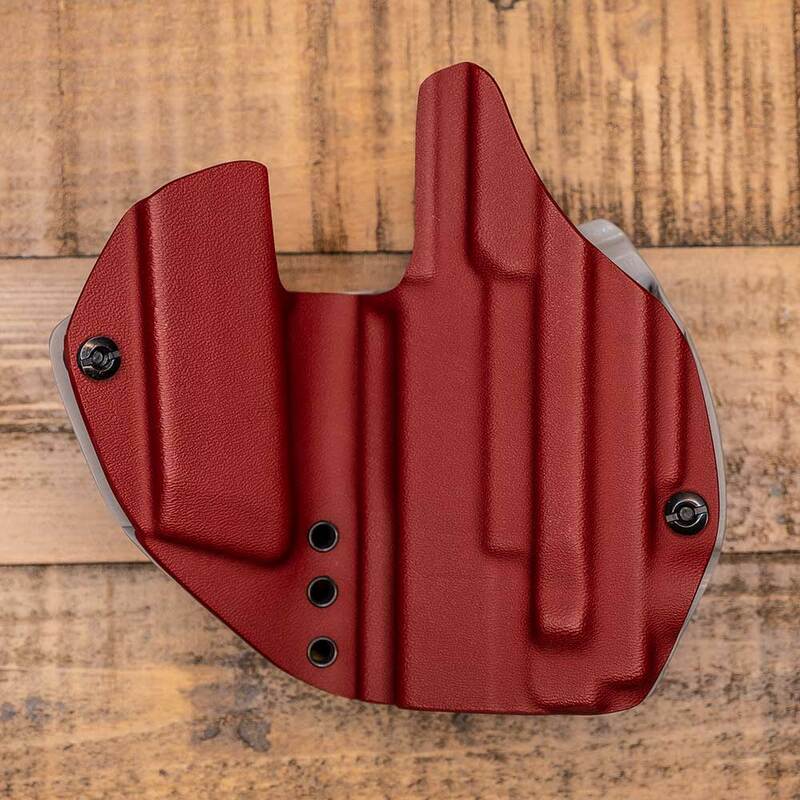 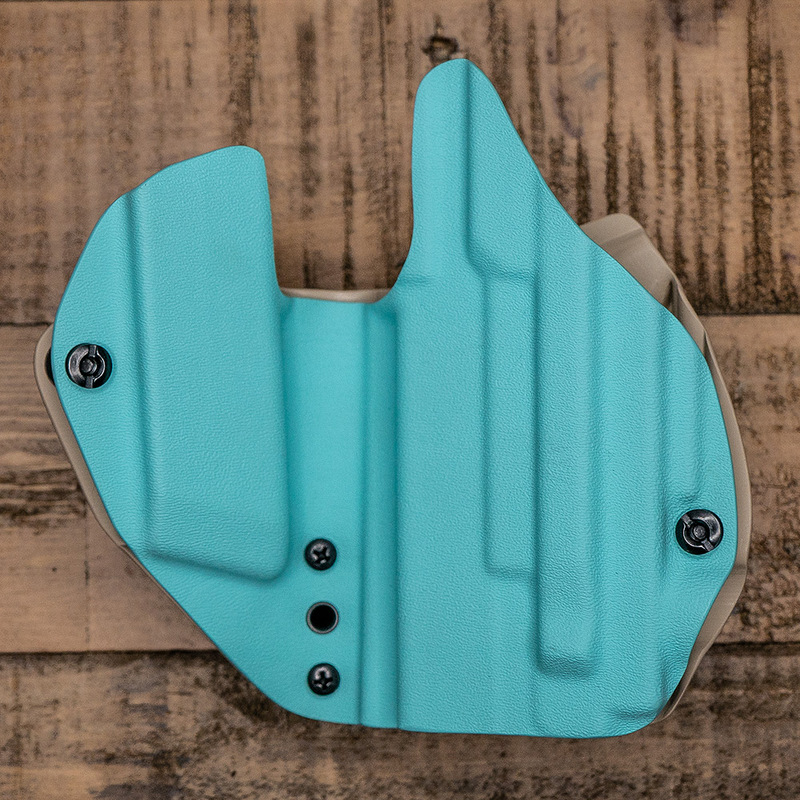 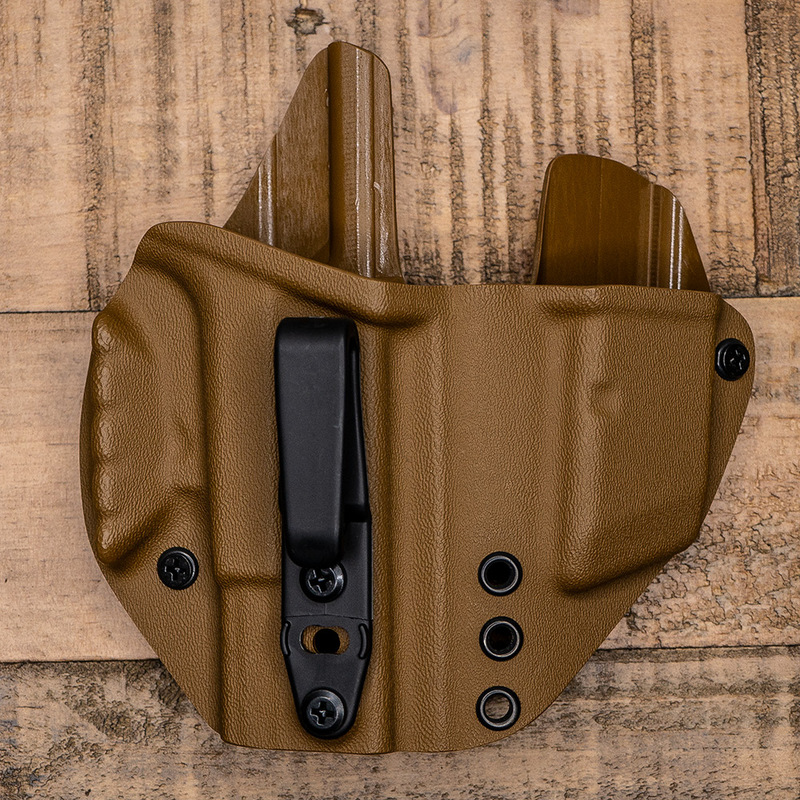 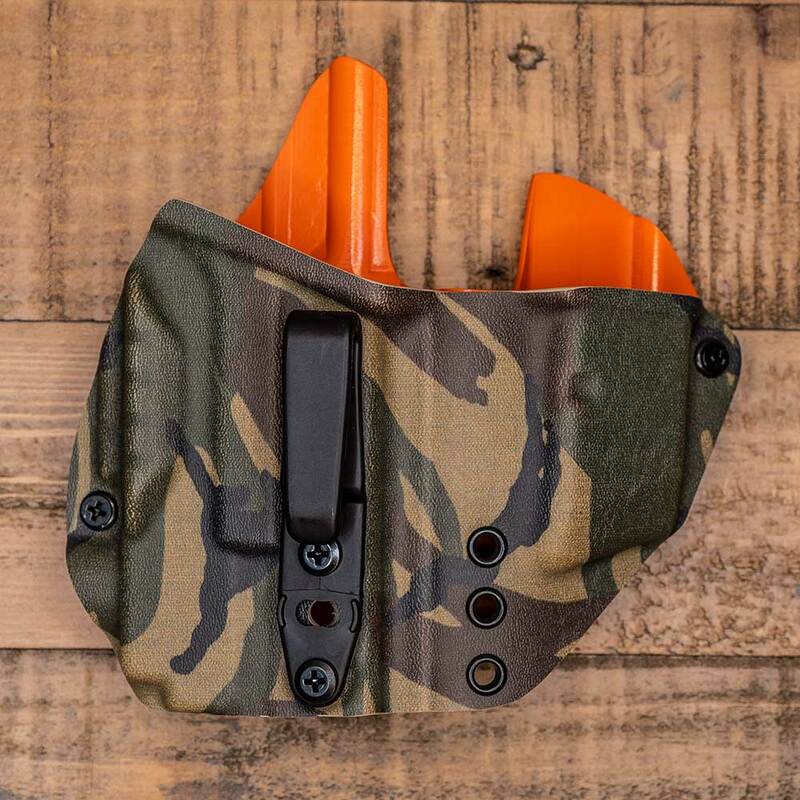 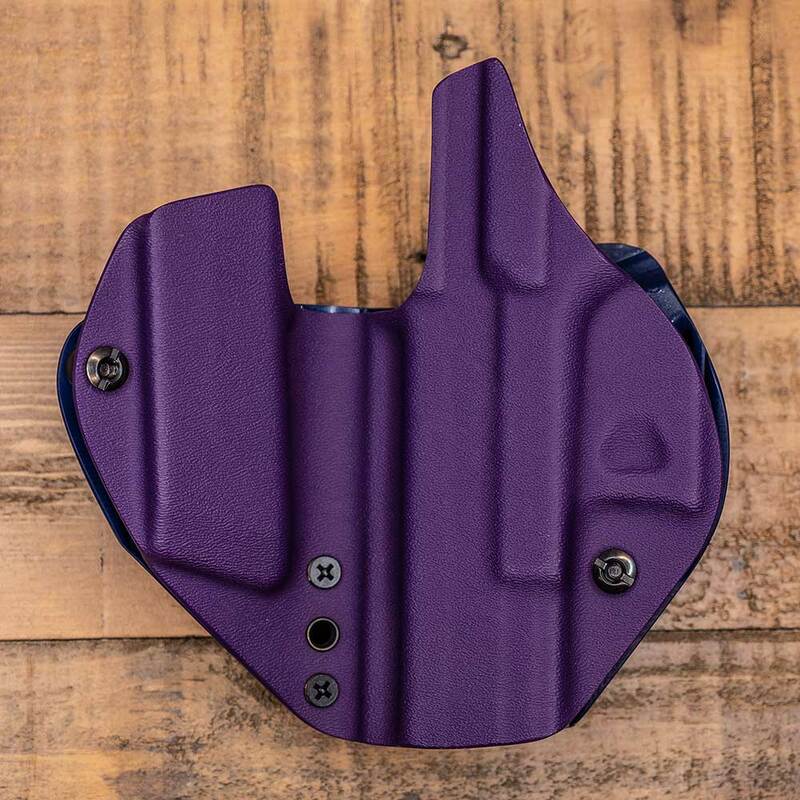 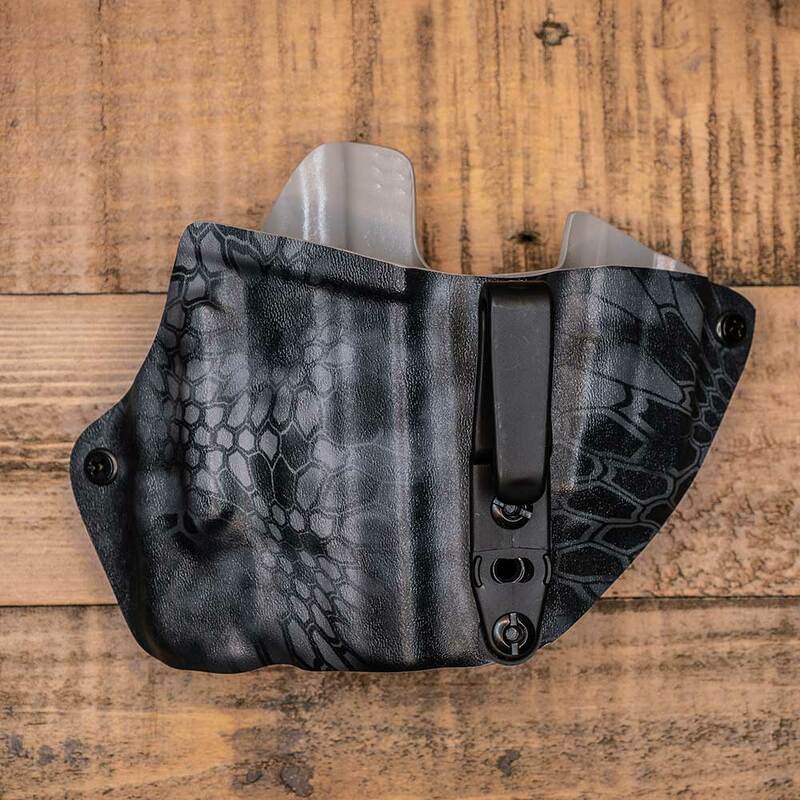 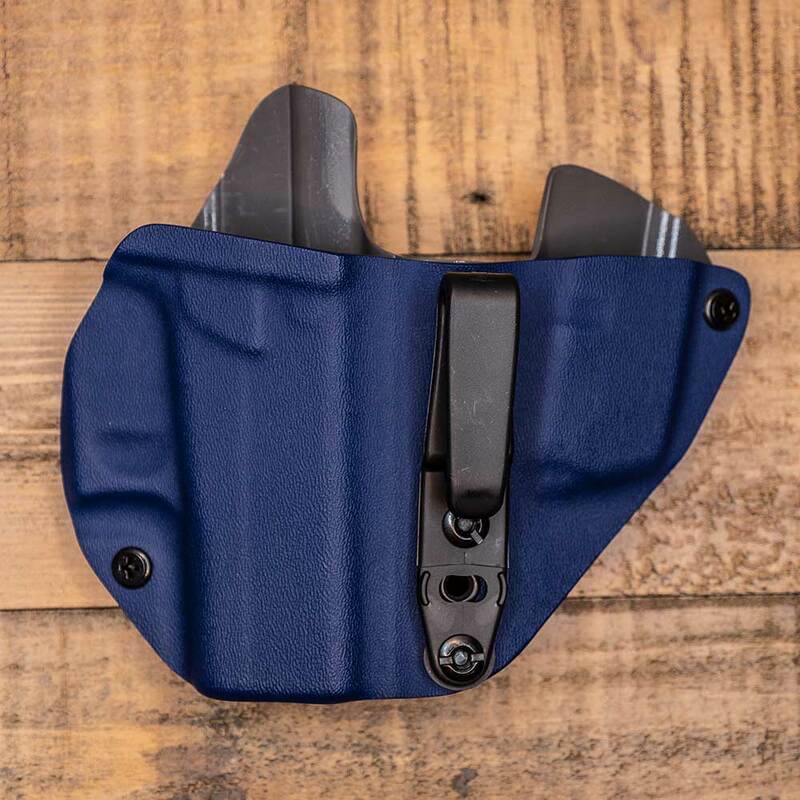 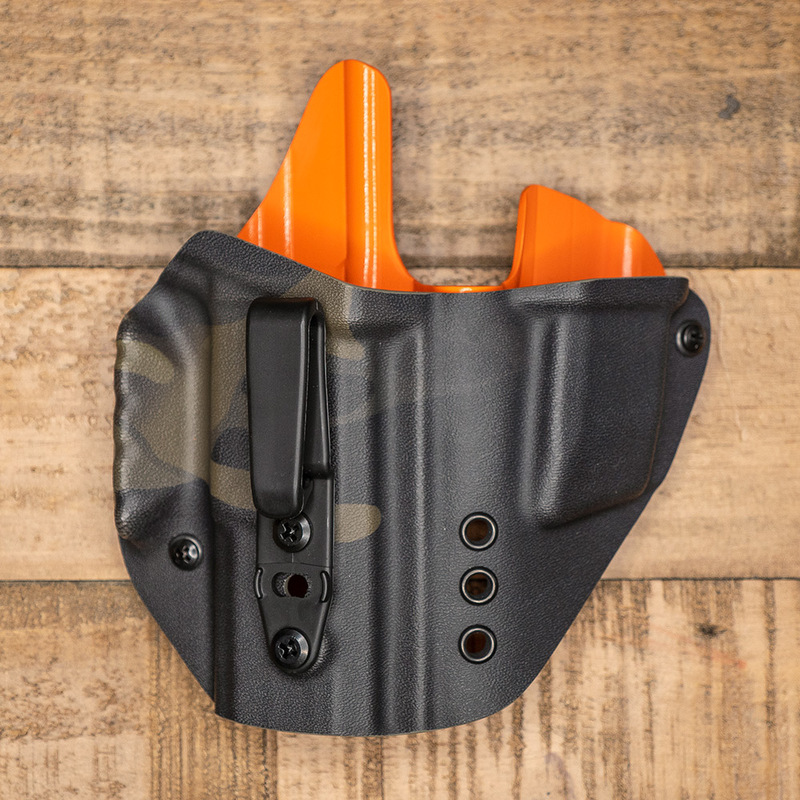 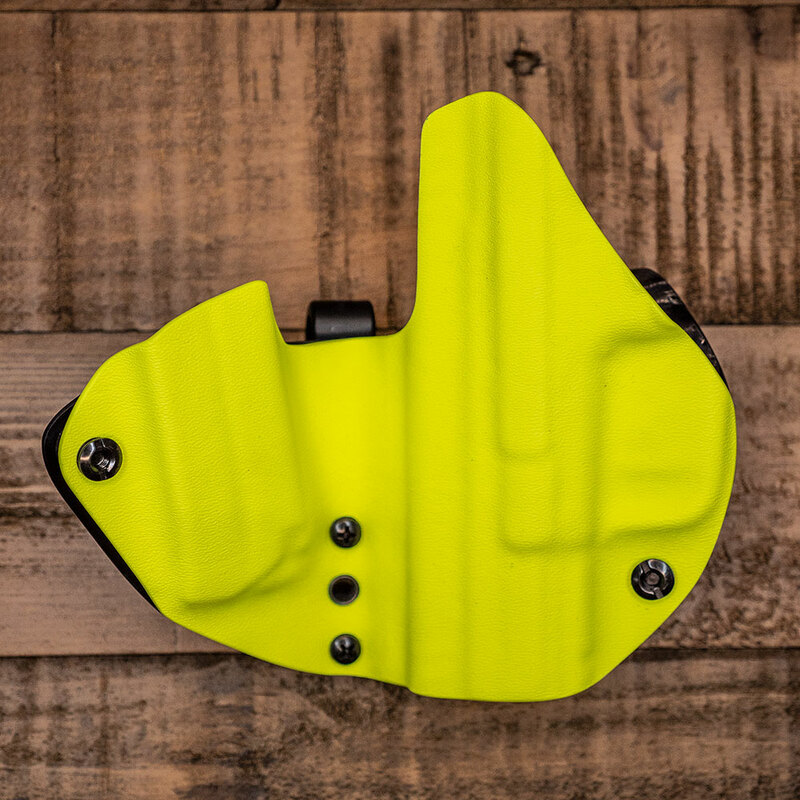 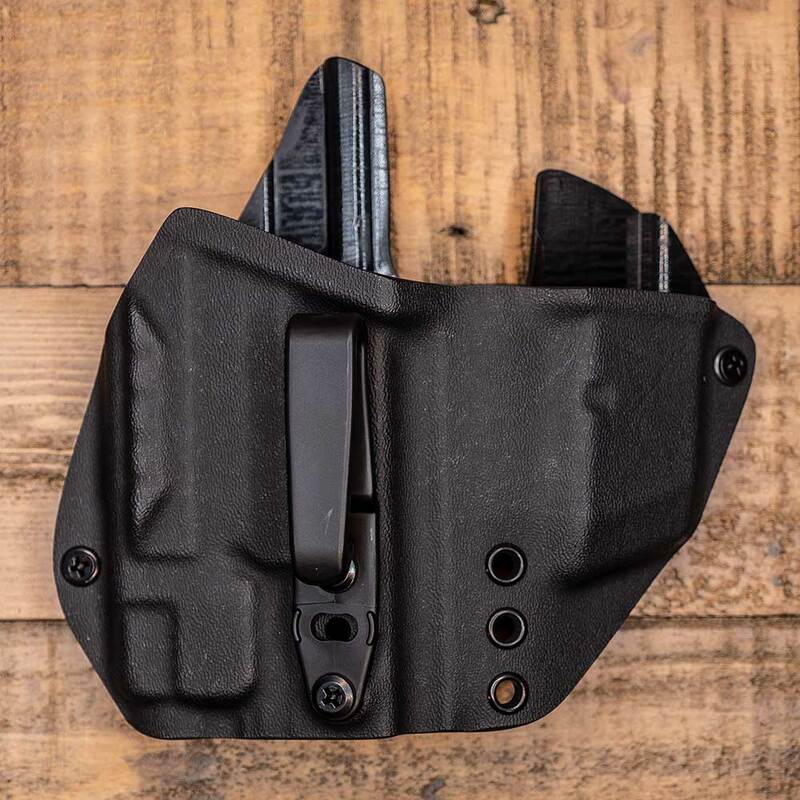 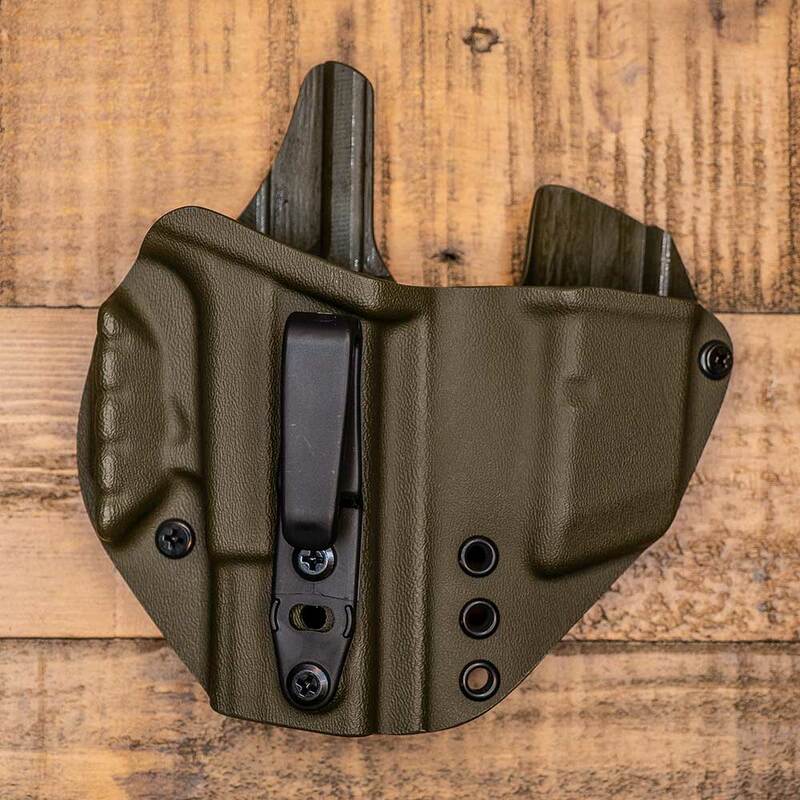 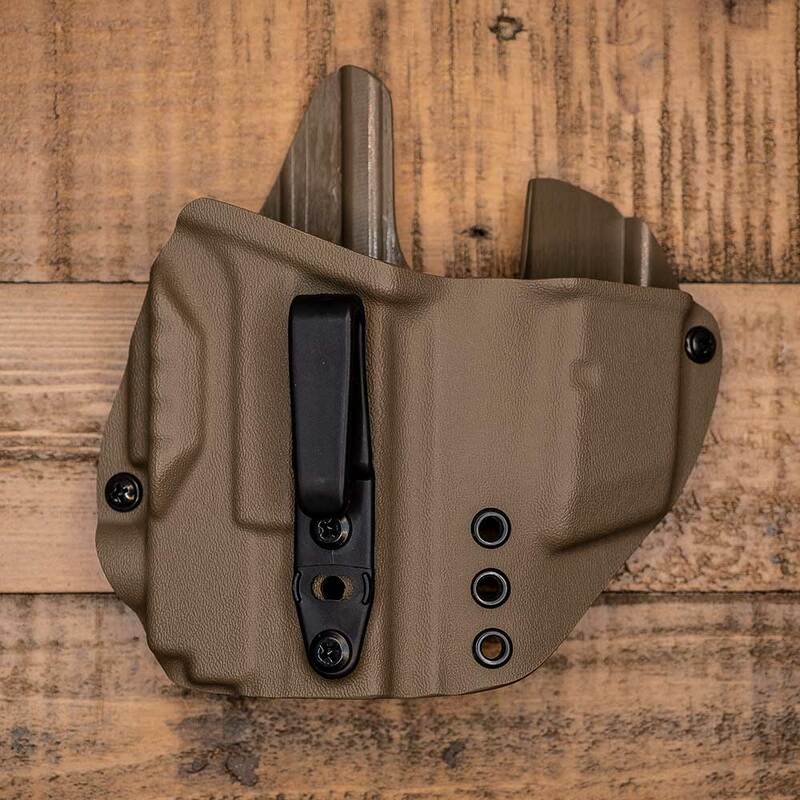 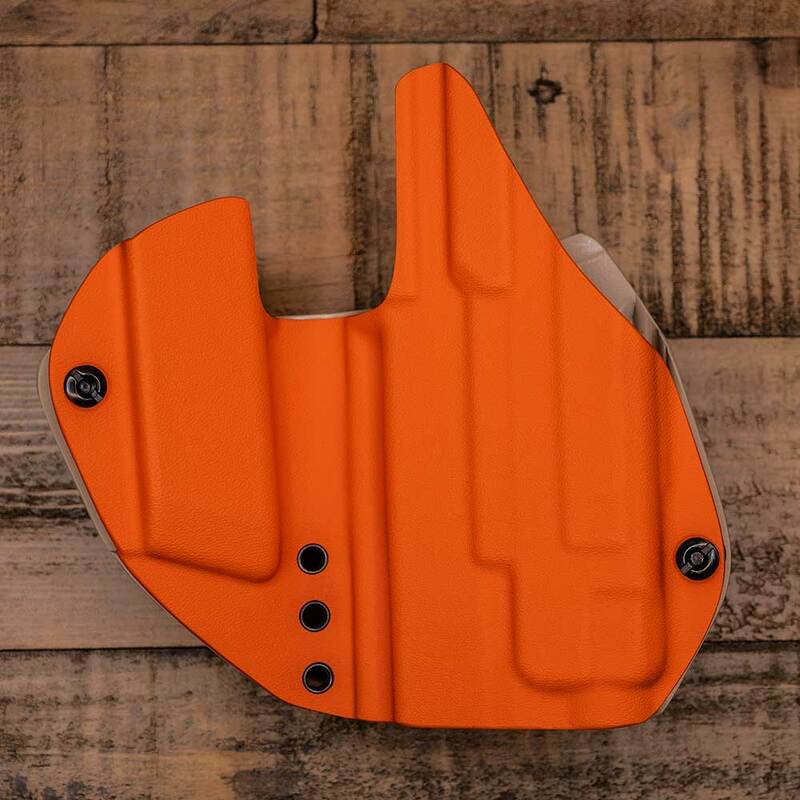 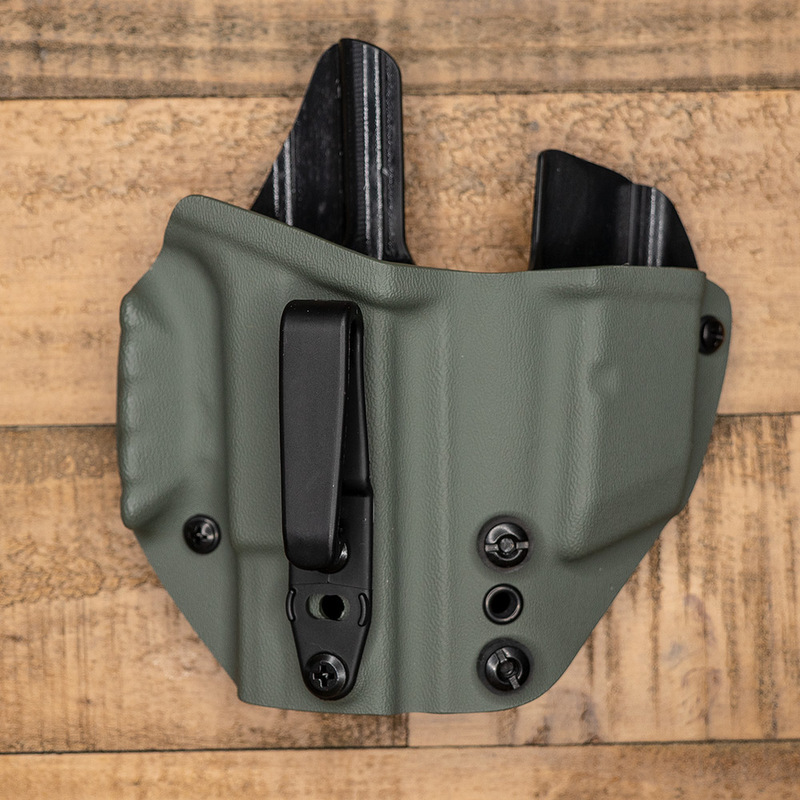 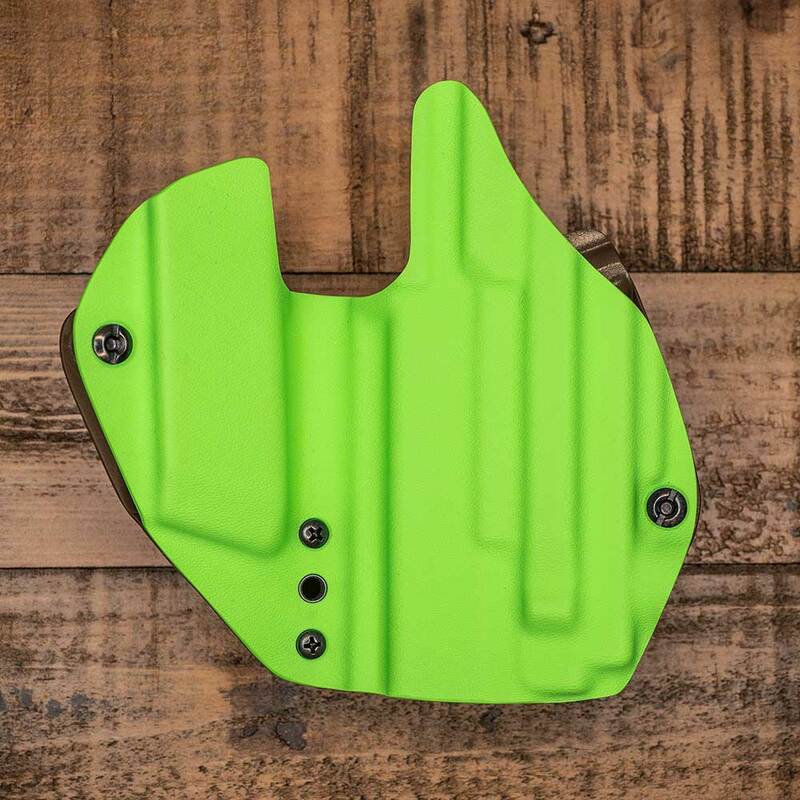 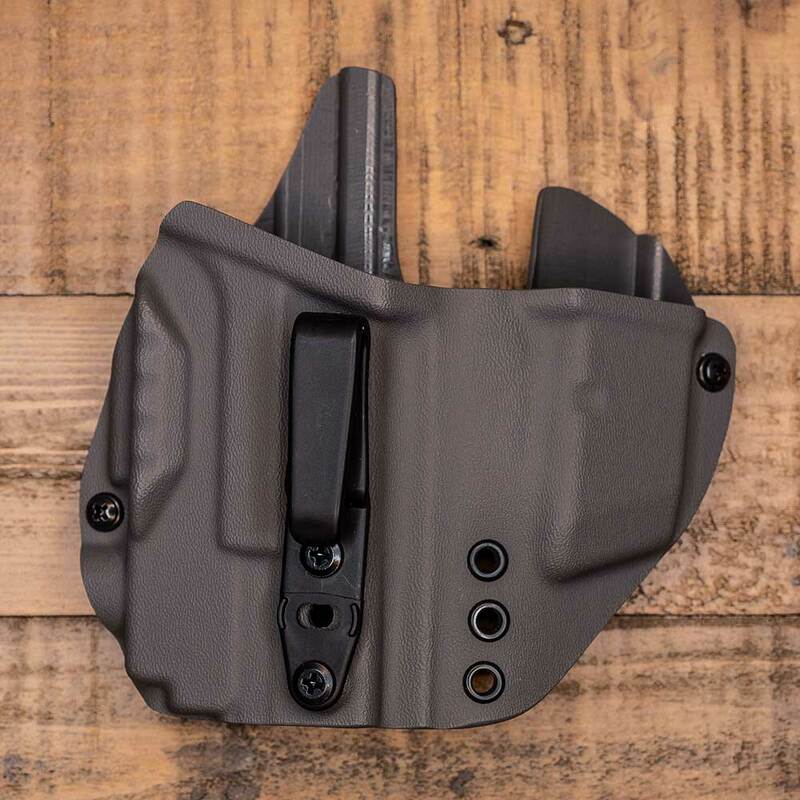 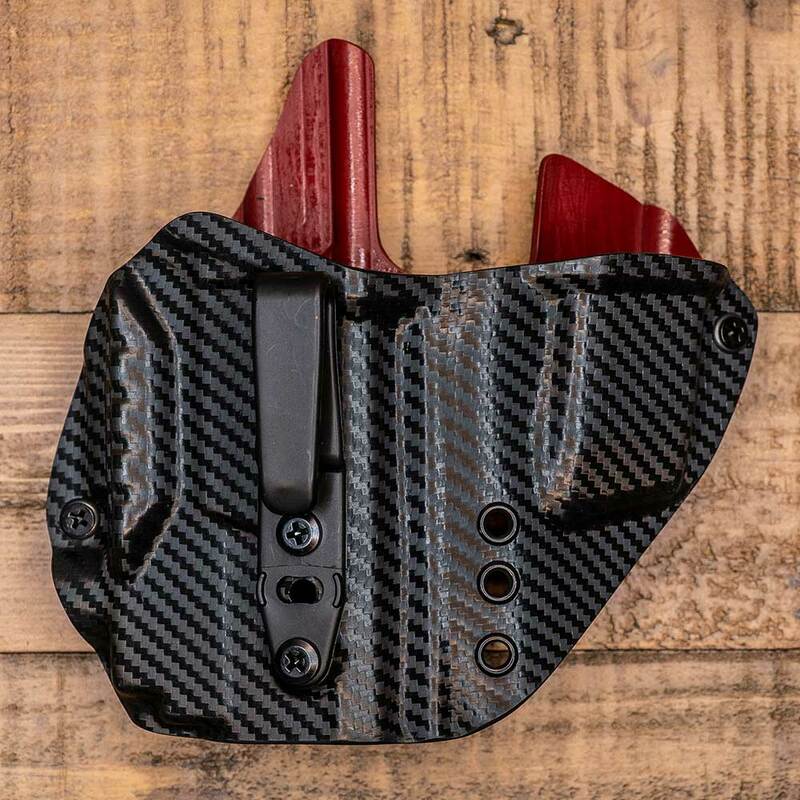 For camouflage kydex: The actual pattern in a camouflage is somewhat random, and the colors/patterns that will be on your particular holster will likely be somewhat different than the sample holsters pictured here. 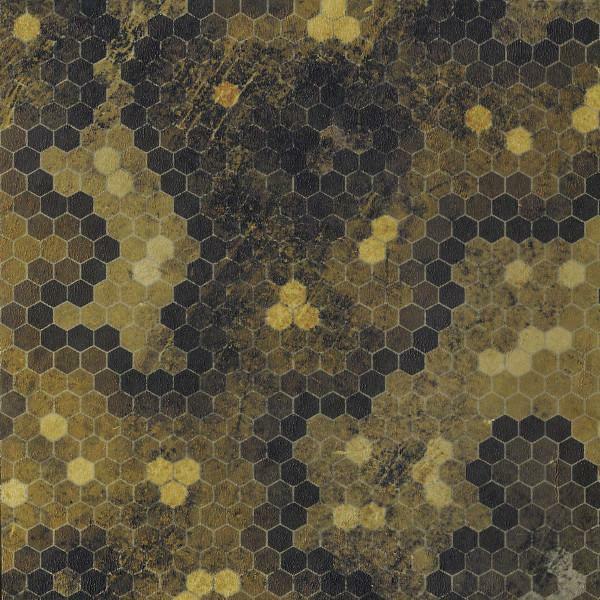 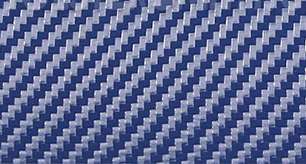 The 'inside' or 'back' color of a camouflage will typically be a solid color that is in the general palette of the camouflage. 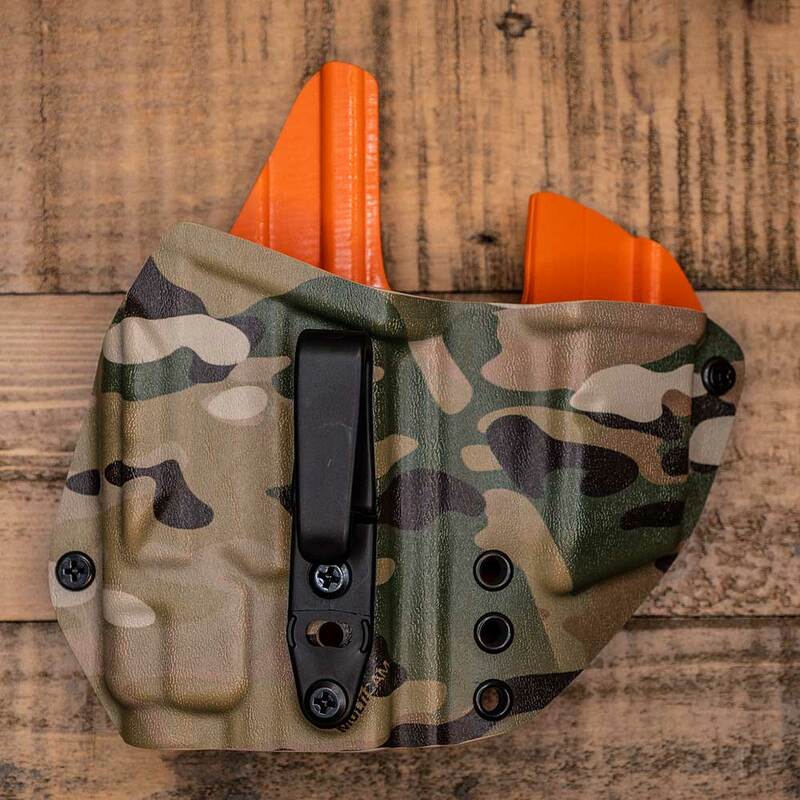 I do not control the 'inside' color of the camo prints.